IN FEBRUARY, I PRODUCED a blog piece about the Rue de Vaugirard, which at 4.3 kilometres is the longest street in Paris. Having explored that street, I thought it would be interesting to go to the other end of the spectrum and search out the shortest street in this city. At 3.3 metres wide and 5.75 metres long the Rue des Degrés in the 2nd arrondissement has the distinction of being the shortest street in Paris. It’s been here since the middle of the seventeenth-century. 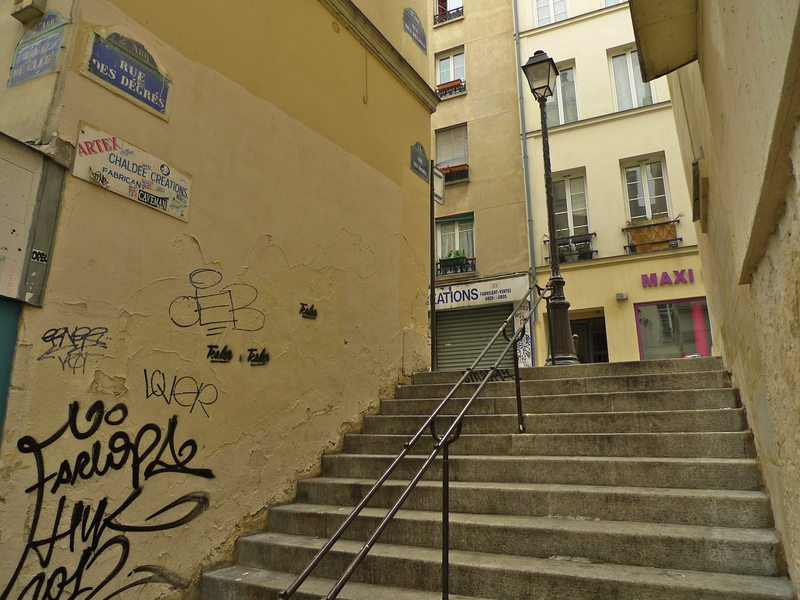 The Rue des Degrés comprises just fourteen steps linking the Rue de Clery and the Rue Beauregard. These two streets run along the former line of the Charles V wall, built between 1356 to 1383 and demolished in the seventeenth-century to make way for the Grands Boulevards. 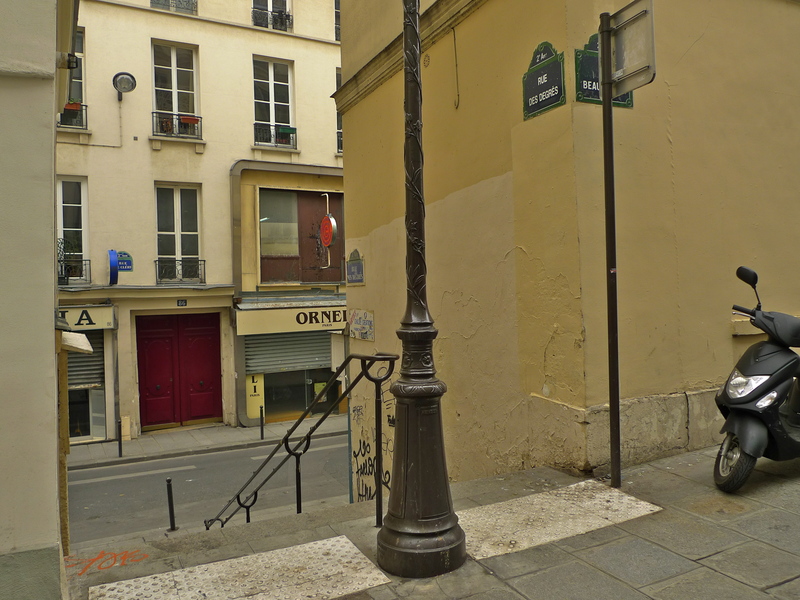 The Rue des Degrés is so short that it’s hard to imagine that it is a formal street … but it is and like all streets in Paris it even has the street name affixed to the wall at either end of the street. The Rue des Degrés also has the distinction of being one of the quietest streets in Paris. I went there in the middle of a Saturday afternoon yet there was no traffic, no people and scarcely a sound to be heard. The Rue des Degrés may be the shortest and possibly the quietest street in Paris but the large Boulevards and characteristic city sounds are never far away. 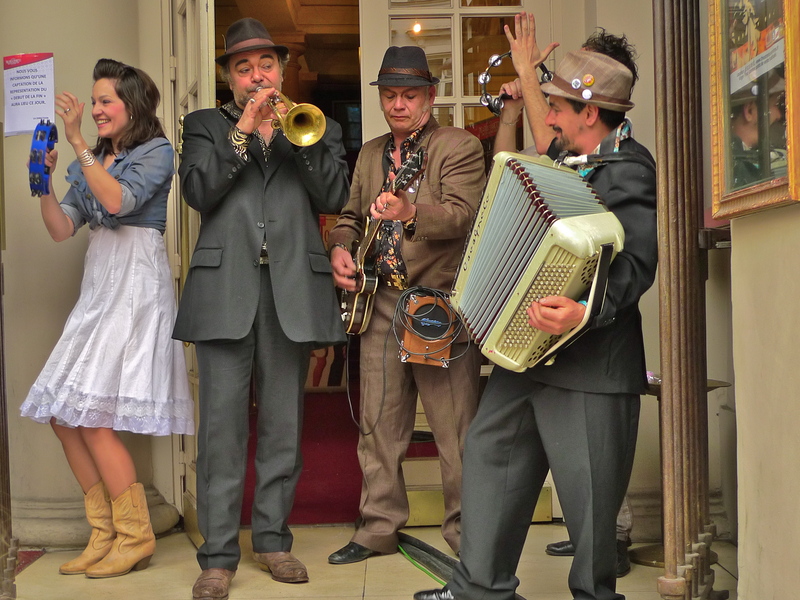 A short walk from the Rue des Degrés led me to the grand Boulevard de Bonne Nouvelle where I found, in great contrast to the quiet of the Rue des Degrés, this group of street musicians.